Interested in how thought partnership would support your success? We help you to accelerate your professional growth and increase your success for the organisation you are leading, which makes your professional life all that much more rewarding. It is for those who feel like they are at the top of their game, and for those who have identified the areas they want to improve. Newly appointed leaders need to make the right decisions early on. We help organisations reduce the risks of unsuccessful or clumsy landings. The program supports strong organisational and stakeholder acceptance, reducing the risks both for the organisation and the incoming leader. It provides a roadmap of the critical components for success when joining an organisation. It is completely adapted to the executive and their unique context and experience. It offers the full spectrum of support based on the client’s needs, including strategic thought partnership, emotional and confidence back-up, leadership reflection and access to a range of high quality tools and frameworks. When Nathan and his family moved to Australia from overseas he left behind a large and well known organisation he’d been with for over a decade and a half, and one that he was absolutely dedicated to. When we first spoke he’d just learned that he had been successful in securing a new role in a well respected small organisation. He would be moving within the nonprofit sector, but it was his first CEO role and a change of focus. Nathan had heard good things about Leadership Space and decided to ask the Chair of the new organisation if they would include a First 90 Days package as part of his joining. They agreed. In our first session Nathan and I talked about his strengths, and reflected on the areas he might need to consciously watch. Introducing a personality profiling model, allowed him to quickly hone in on what kind of leader he wanted to be and the ways he was going to balance out his style in his new role. He firmed up how he was going to approach his first few days. Unpacking his areas of confidence opened up the question of motivation. He had been so committed to his previous organisation. What would it take to feel that way again? Did he need to feel that strongly to perform? He reflected on his needs and drivers and how they had changed. As Nathan and I worked together over the 3 subsequent sessions, we honed in on strategic topics, using our time to map the business and its context, and helicopter up out of the detail he’d been absorbing in the intervening times. Unpacking these topics allowed all the thinking he’d been doing to get out of his head, into a structured framework and be challenged for gaps and blind spots, prioritised and accounted for. Nathan comfortably passed his first 90 days, building strong relationships with the Board, gaining the allegiance of the existing senior managers. He was able to quickly and confidently move to building up the internal team, make tough decisions, and focus on building up his grasp of the local players, policy environment and opportunities. He’s got a role he can make a difference in, work-life balance, and the stimulation he needs. When I first met Jane she was a senior executive in a large commercial firm. She had a solid career track record and a comfortable life. Jane however had been sitting with the growing sense that she might be ready to push herself towards a career that felt more deeply meaningful for her. Some years ago she had gained a nonprofit Board position and realised she enjoyed this far more than her day job. She wasn’t sure if she could manage a career direction change financially, if it would be stimulating enough for her, or where she would go if she did move. After our first consult conversation she decided she was committed to thinking about it in a more focused way. She signed up for 6 coaching sessions. As Jane and I worked together she became clearer about her motivation for moving sectors, gained insights about what was holding her back, and began to feel a growing excitement about what her professional life might become. She began to broaden out slightly what the coaching was there to achieve. She realised she had been somewhat traumatised by a previous role and manager, and processing this experience, along with working with her inner critic voice helped her to feel stronger and back herself more completely. She did the work of learning about the areas she cared about, refining her criteria, building her networks and reflecting on her opinions in her growing areas of passion. She set a financial expectation that was realistic and did the work of deeply reflecting on her values and assessing what was most important to her. 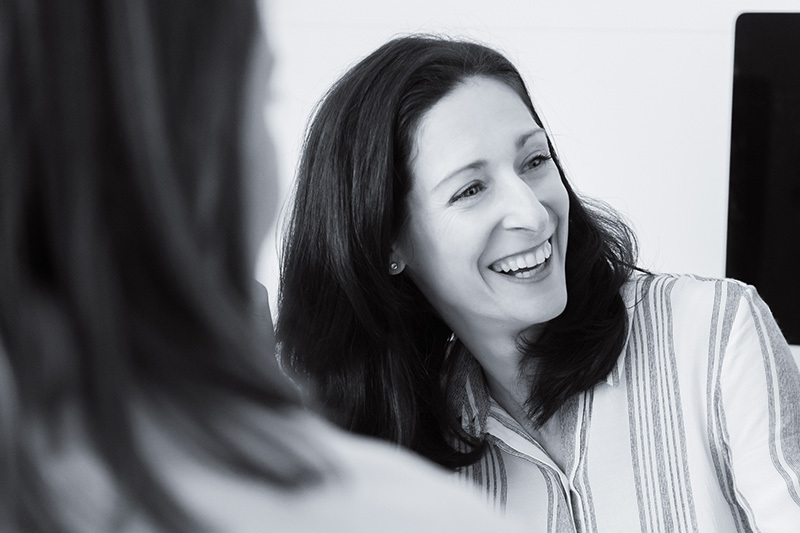 Jane ended up deciding that there really was just only one organisation that she wanted to work for, and one position on the executive team that would excite her and match her skills. She decided to take her time moving sectors, choosing to really build her topic knowledge while she built her networks. Through using her networks she built a relationship with someone in the organisation who had the power to hire her, and joined the organisation. She proved her worth and not long afterwards joined the executive team in a position that allowed her to contribute all her strengths. Jane secured her dream job in her target organisation in about 12 months. To become an exceptional organisation with great leaders and engaged employees requires having tools to understand and address strengths and weaknesses of individuals and teams. 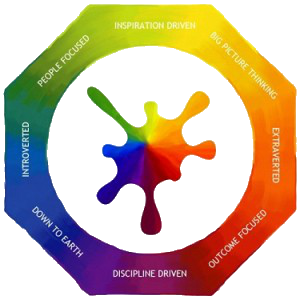 At Leadership Space we offer Lumina Spark. Lumina Spark is based on the work of Carl Jung. It is a globally utilised tool that is continually validated. It is a mid-level tool making it powerful and insightful, as well as cost effective. The colourful framework and colloquial language is so memorable that it becomes a useful internal language for everyone. It is growth oriented and constructive. It doesn’t label people or put them in a box, but rather helps to clarify individual’s preferences and tendencies in a way that creates genuine openness and interest. We work with you to establish a safe and confidential relationship so that you can be as honest and vulnerable as you need to be to take full advantage of our partnership. We ask powerful questions that help you clarify your thinking, provide space for you to reflect, and facilitate you to access the full spectrum of your intelligence. We’ll help you visualise success, experiment, plan and take actions. We’ll support accountability and mindfulness, be a place for emotional exploration and confidence building. We will also bring all of who we are to the table – our observations, tools, networks and experience, and most importantly, our humanity.